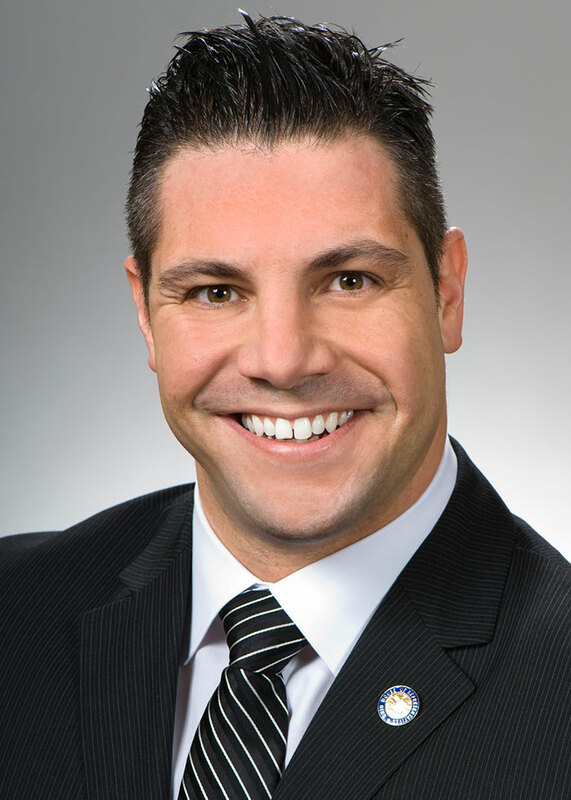 State Rep. Nicholas J. Celebrezze (D-Parma) returns to the Ohio House for a third term, where he will serve his Democratic colleagues as Assistant House Democratic Leader. During his time in the legislature, Celebrezze has been an outspoken advocate for government that works for all Ohioans. After serving six years as a Parma City Councilman, Celebrezze brings to the Statehouse a passion and dedication for increasing the quality of life for all Ohioans. A former Cuyahoga County Adult Probation Officer and Assistant County Prosecutor he recognizes the importance of keeping our streets safe. While on council, he sponsored legislation that was critical in ensuring that Parma remained one of the “safest cities in the nation”, he also authored the legislation that made parents financially responsible for the criminal actions of their minor children. Additionally during his tenure on Council, the City was able to build two-state of the art fire stations that will serve its residents far into the future. Nick was born November 22, 1977 at Parma Community Hospital, the youngest of three children to Daria Y. Celebrezze, a former school teacher, and Judge James P. Celebrezze, a former Ohio Supreme Court Justice. His older sister Leslie Ann is currently serving as a Judge on the Cuyahoga County Common Pleas Court, and his older brother Jim is a Physician and Professor of Medicine at the University of Pittsburgh. Nick is a graduate of the University of Akron, where he received a Bachelor’s Degree with Honors from the Bliss Institute of American Politics, and Cleveland Marshall College of Law, where he obtained his Juris Doctorate. He was admitted into the practice of law in May of 2004 and is an Attorney for the Cleveland law-firm, McCarthy, Lebit, Crystal, & Liffman as well as being active in numerous civic and community organizations. Nick and his wife, Niki, a Surgical Pathologist at Promedica reside in Parma with their two children Izabella and Luka.